Native to Mediterranean, Asian and Middle Eastern cultures. This fruit exhibits a sweet-tart flavor that is a perfect accompaniment to a wide range of foods. 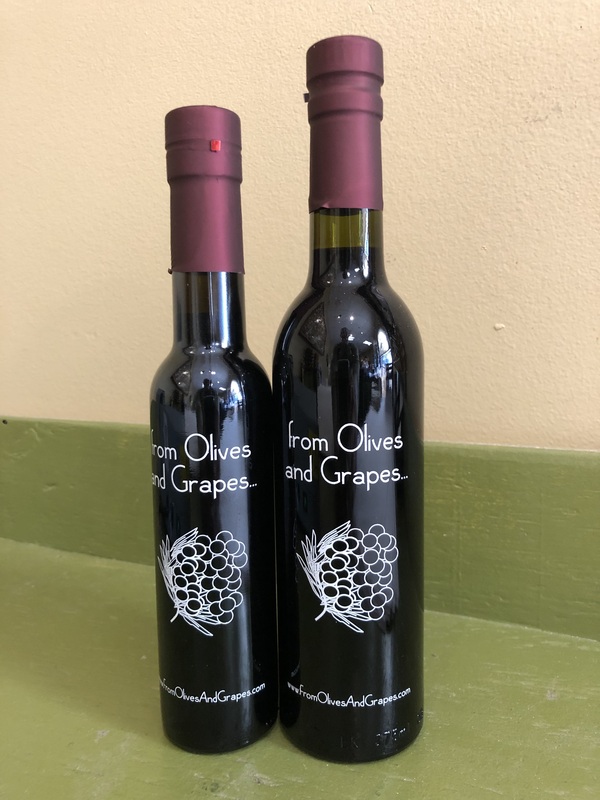 The foundation is our Premium 12 year Balsamic Vinegar of Modena, which lends its deep rich flavors and crisp acidity to create a complex yet superbly balanced dressing and condiment. There are numerous reports on the health benefits of Pomegranate. Now get a health food that tastes great! You can use our premium Pomegranate Balsamic Vinegar in salads, as a marinade, and to glaze lamb, beef and duck. 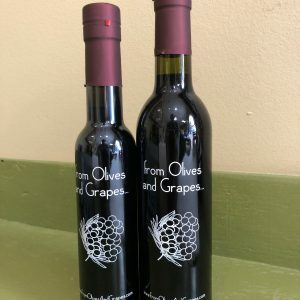 It is great for grilling, dipping, adding to olive oil, cranberry sauce, gravies, and stuffings. Whisk it with your favorite Extra Virgin Olive Oil and serve it over salad greens topped with nuts, Feta Cheese and onion.